After being appointed as the new head coach of the Indian U-23 football team ahead of the AFC U-23 qualifiers, Derrick Pereira has mentioned that it is an absolute honour to be associated with an Indian side. Pereira had earlier taken charge of many teams like Salgaocar and Churchill Brothers. 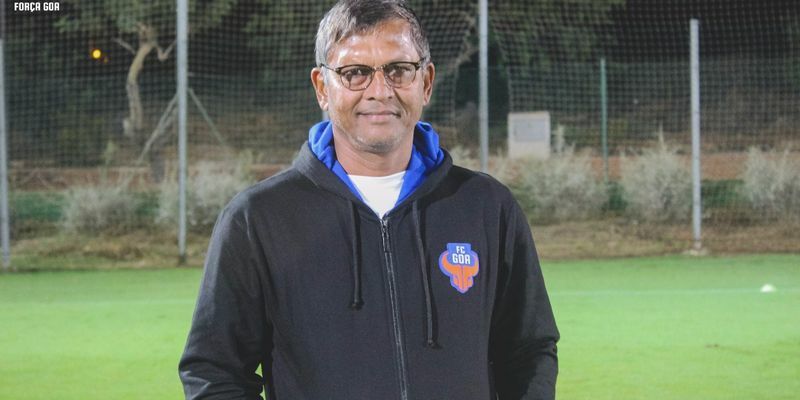 Derrick Pereira from FC Goa has been named as the new head coach of the India under-23 team ahead of the AFC U-23 qualifiers that will be held in Tashkent, Uzbekistan. India are in a pool with the likes of Tajikistan, Pakistan and hosts Uzbekistan in it. Pereira was ecstatic after his appointment and revealed that he was eager to meet up with his players and begin preparations for the qualification stage of the tournament. “It’s an absolute honour to get associated with the National Team set-up. I love to take challenges. I know most of the players and have seen them in action. But we need to find the right combination to perform and achieve the desired results.” the newly-appointed coach told PTI. “They are a quality side. I have a feeling that some of the U-23 boys from Qatar will be in their 2022 World Cup squad. It will be a tough challenge which will help us prepare for future assignments." Pereira will take charge of the youngsters at the preparatory camp in Goa which will commence from March 2. The team will also play a friendly match against Qatar U-23 side in Doha on March 11. Earlier on in his managerial career, Pereira had won the National Football League with Mahindra United as a coach and has also acted as assistant coach to Sergio Lobera at FC Goa. “His coaching pedigree along with AFC Pro Licence degree is the perfect recipe to guide our young players in the AFC U-23 qualifiers. We aim to qualify from the group to the AFC Championship next year, and I wish him and the team good luck,” said AIFF General Secretary Kushal Das.